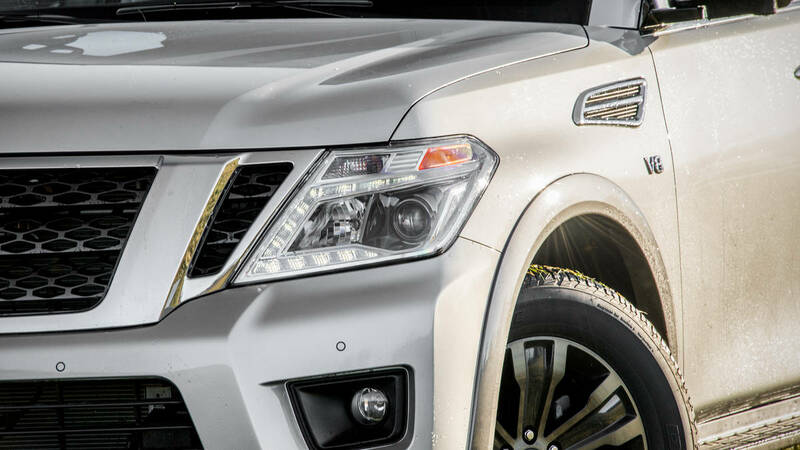 Nissan's biggest is the Armada, which received a redesign for 2017 that borrows the looks of the Nissan Patrol, which we never got stateside. 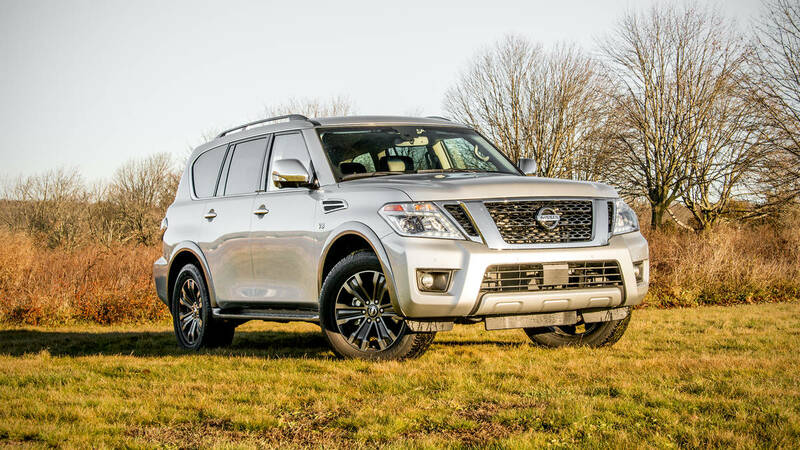 The looks are a little more conservative than those of the Infiniti QX80, which shares the Armada's platform, but there is just as much room inside if you don't need the Infiniti badge. 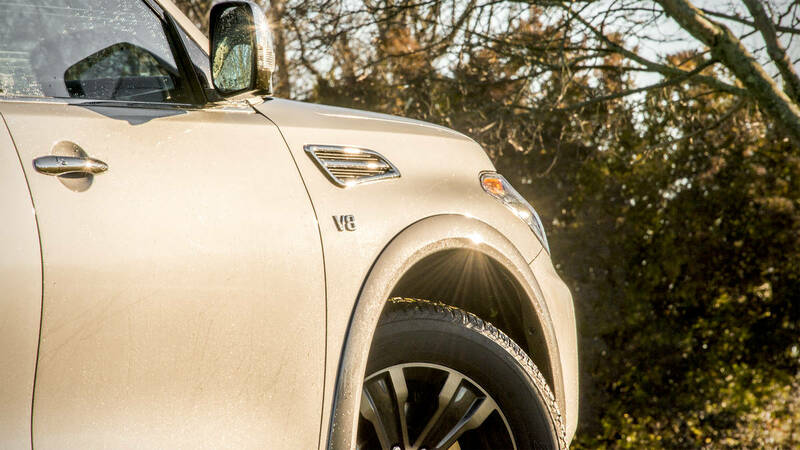 A new 5.6-liter V8 powers this Armada, producing 390 hp and 394 lb-ft of torque, with a new seven-speed automatic sending all those horses from the engine room to all four wheels. Speaking of room, there is enough for eight people if one needs to pull limo duty or transport half a youth soccer team to an away game (a far more likely scenario). Cargo room suffers a bit if all eight seats are occupied -- this is not the away-game hauler like the longest, stretchiest Suburban. 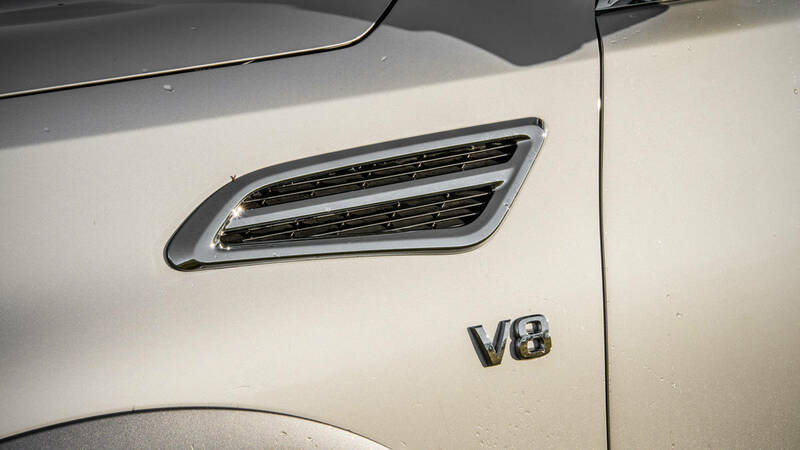 If you own a vessel that's part of some armada, there's also an 8,500-lb towing capacity. 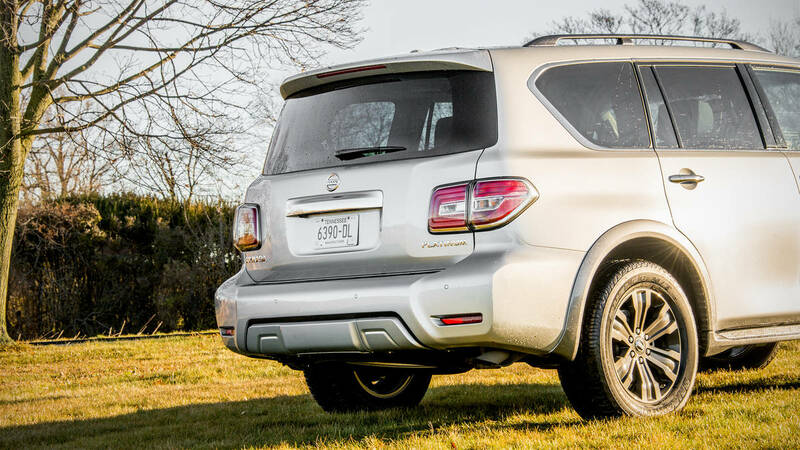 The Armada's driving dynamics are surprisingly docile; the throttle is very responsive and, aside from the inevitable body roll, there isn't much to fault. 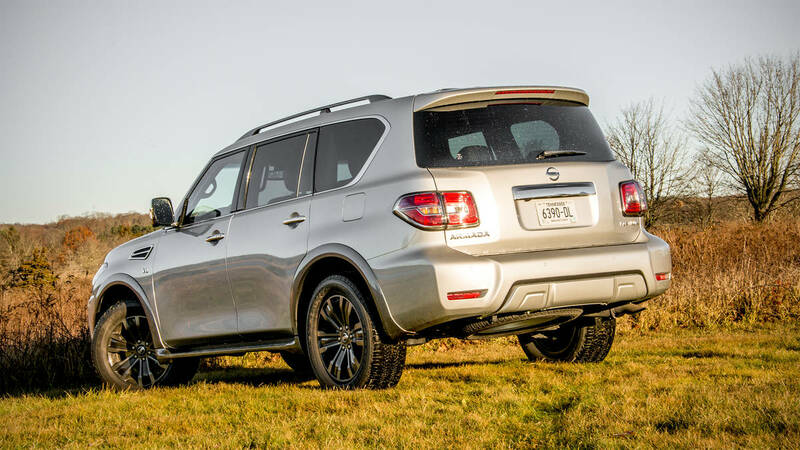 The seven-speed automatic makes a big difference here, allowing the Armada to remain generally nimble around town and offer surprisingly quiet cruising on the interstate. 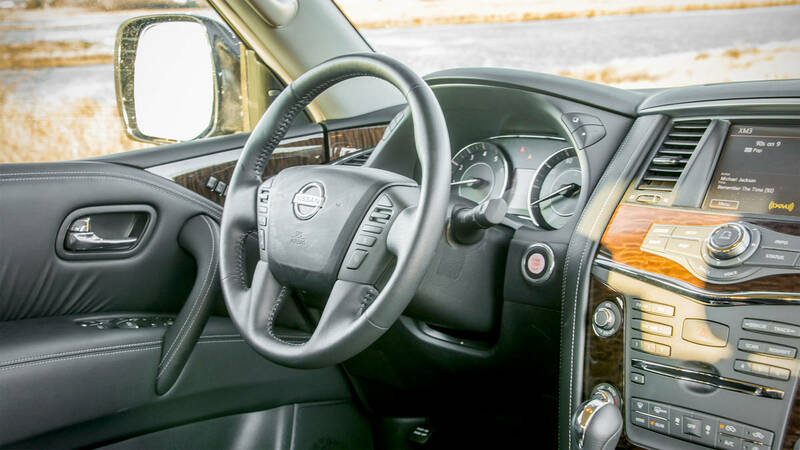 The sound insulation of the cabin keeps most road noise out, though engine noise is pretty substantial during acceleration from a standstill. The floor of the Armada is pretty high off the ground, so just about everyone will need to use the running boards to get in and out (and look a little silly while doing so). It's inconvenient, but thankfully there is a handle attached to the inside of the A-pillar to permit mostly dignified ingress and egress. 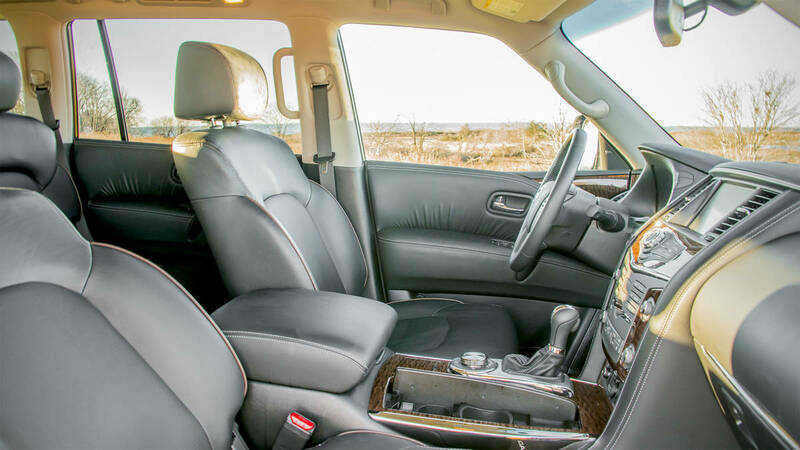 The Armada's interior is well finished and comfortable even if there is still a lot of black plastic to look at. 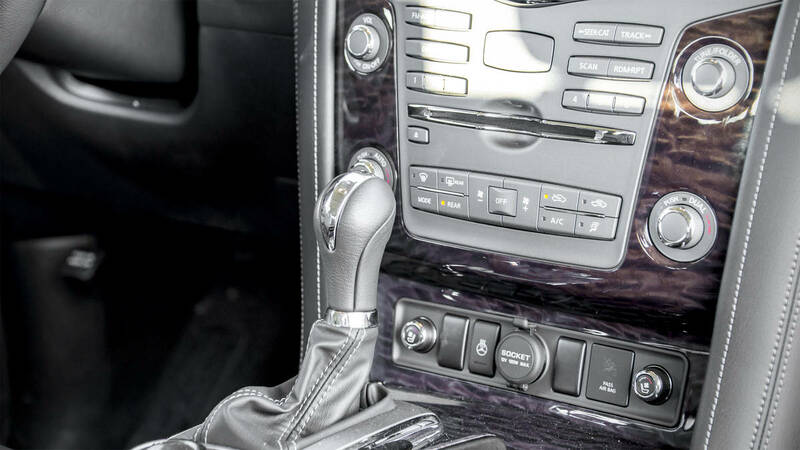 Fans of buttons should feel right at home here -- there are plenty of of them, in addition to a iDrive-like rotary knob to the left of the cupholders. 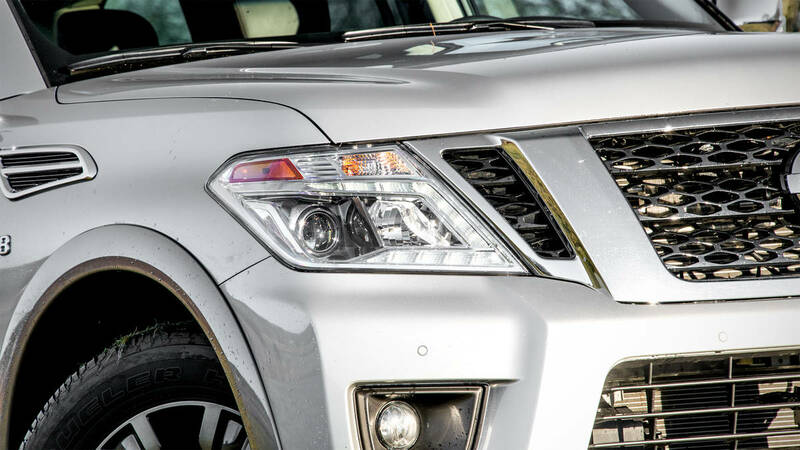 Outward visibility is hampered somewhat by the tall hood, but Nissan's surround-view system and plenty of cameras make maneuvering this ship pretty easy, even if the number (and variety) of proximity warning chimes is extreme. Get a little too close to some shopping carts and the curb, and you'll be treated to all of the alert sounds of the Starship Enterprise bridge during battle. 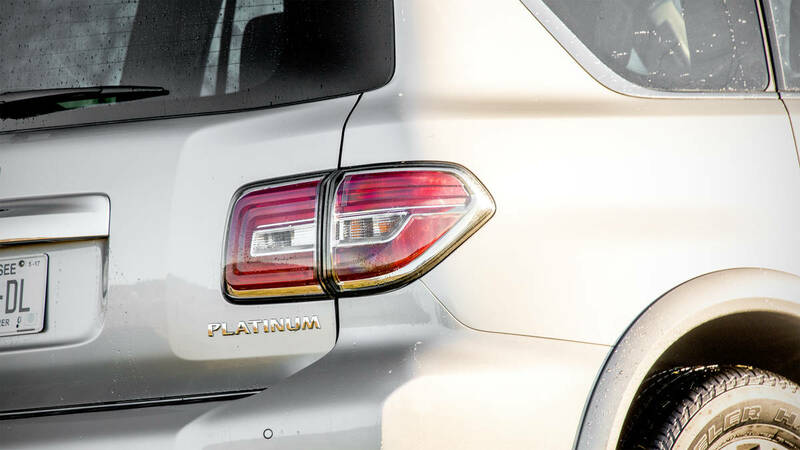 If there is one noticeable ergonomic issue, it is that the side mirrors are taller than they are wide and do a surprisingly poor job of showing stuff in neighboring lanes. 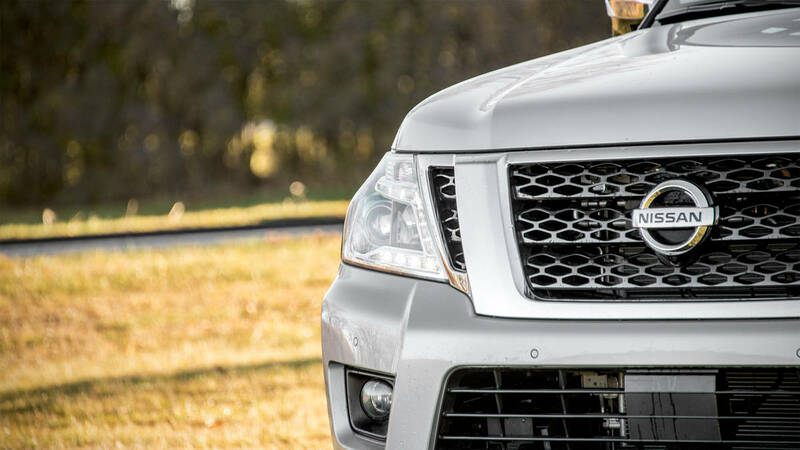 Combined with the impressive height of the Armada, this makes lane changing a maneuver that takes a lot of double-checking, though the blind-spot monitors help. 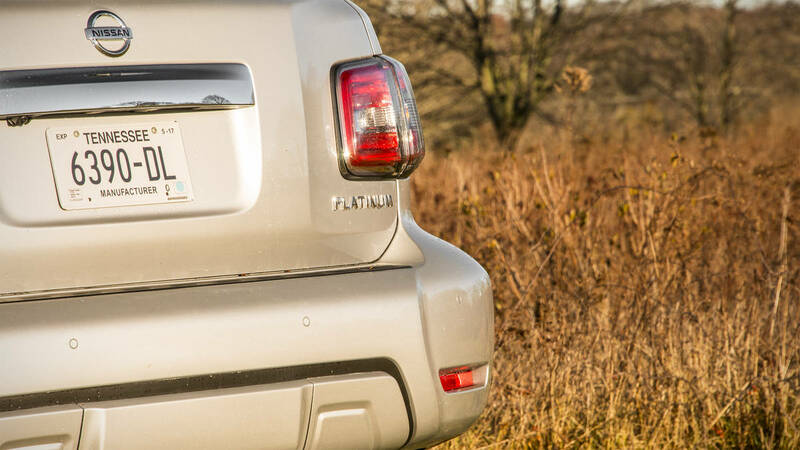 With a base price of $45,395, this is a lot of of truck for the money and aimed squarely at the Chevy Tahoe/GMC Yukon crowd -- full-size competitors from Japan and Germany start quite a bit north of this figure. 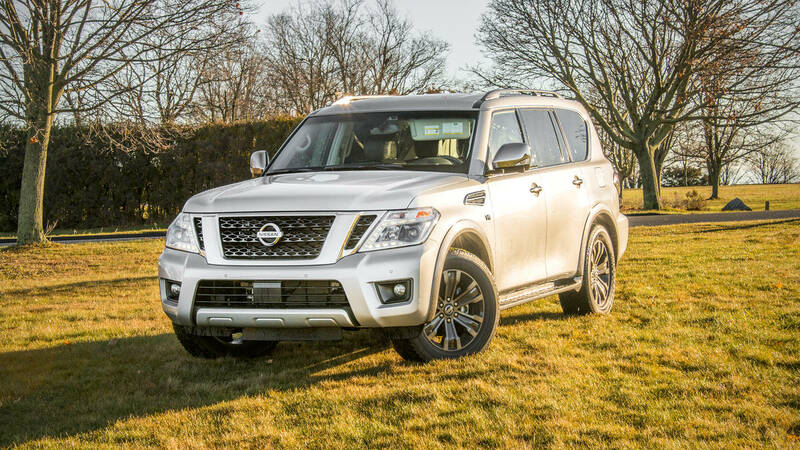 Just north of $60,000 at the Platinum trim level, the Armada makes the Infiniti QX80 seem a bit redundant, and with quieter styling it's arguably an easier sell to the other seven family members.